Telemark Skiing originated in Norway. Since then, teleskiing or telemark skiing has become more popular. For the most part, telemark skiing is referred to as the combined elements of Alpine and Nordic skiing. In layman’s terms, telemark skiing is simply “skiing downhill bent over”. Basically, it is one of the most popular styles of skiing, it can be loads of fun! One of the first things you want to look for when you’re looking for the best telemark skis for beginners is the best manufacturers on the market. Which, let’s just be honest here… You will likely be doing 10-60 Mph downhill with these things on, so our skis need to come correct! There are industry leaders that know exactly what they are doing, and those companies have been known quality manufacturers, and due to their reputation, they would be less likely to fail us with the quality of their products. Companies like K2, Rossignol, and Nordica, are all known to make some of the best skis available in the world and do so deliberately. It’s not that hard to find a good pair telemark skis, but we set out to make the task a little bit easier. We’ve got all the best manufacturers, and all the top recommended telemark skis. We paid close attention to customer reviews, blogs, videos, manufacturer websites, and warranties. We hope you find our research beneficial to your ski hunting, and we wish you the best of luck out on the snow! Rossignol is an impressive name brand with more impressive products. They have been around since 1907 when the founder made his first pair of wooden skis. They specialize in the winter sports market, and have been legends since 1956 after two or three Olympic medals were won using Rossignol skis. 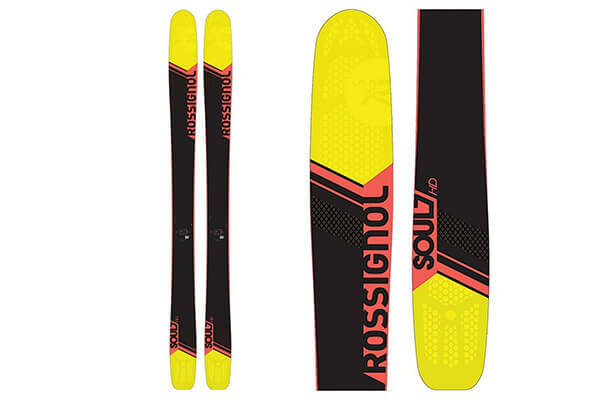 Rossignol goes overboard to build the best products on the market, and pulls it off. The Soul 7 HD’s are a fine ski, specifically built for speed and durability. Peach, yellow, and black, these designs are stunning and laid-back on a suprer-fast, high performance ski. Customers say that the ride has the personality to it, and the air tip and light wood construction will keep you flying at your fastest speeds. The Powder Turned Rocker and Minicap Sandwich will keep you fastened in your skis, and able to maneuver around freely as you set out to master your endeavors for the day. 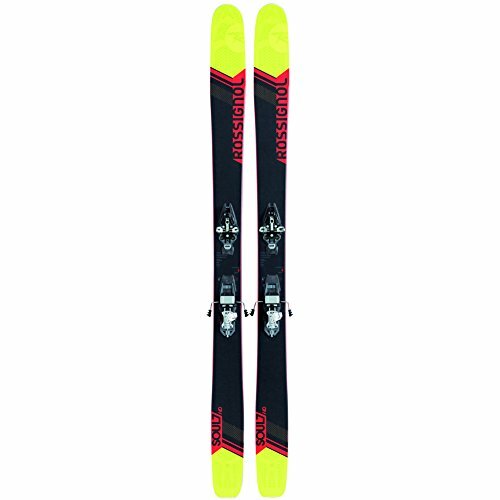 Rossignol products are backed by a 1-year manufacturers warranty. The Nordica Enforcer Skis are rated five stars with previous customers, which means that the skis feel and perform as good as they look. Fire and charcoal colored, the Enforcers are built by Nordica, a company that started out in the 1930s, and ended up teaming up with Rossignol in 1970 before it was purchased by Tecnica in the year 2000. Nordica has been a long since trusted manufacturer in the winter’s sports gear and ski industries, and the Nordica name will not likely be going away anytime soon. The Enforcers feature a full wood core made of Poplar and Beech. 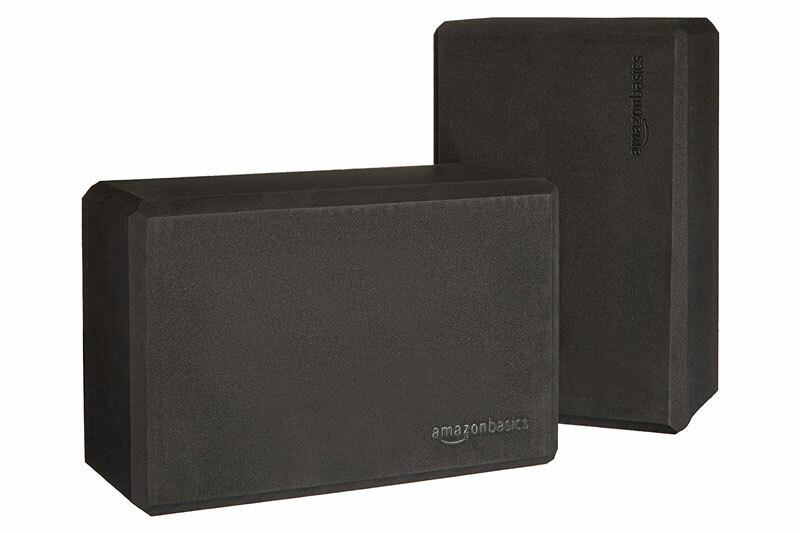 Two Titanal sheets over the edges, to reduce friction and keep you flying instead of grinding. The hammerhead nose and tapered tip design deliver superior performance, and keep you afloat while you’re out on the snow. These are sidecut, 133/100/121 mm, and they come with a one-year manufacturer’s warranty from Nordica. 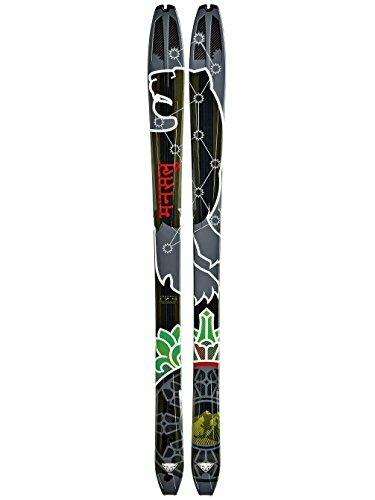 Dynafit Manaslu 2.0 Skis are a tribal based design on probably one of the most high quality skis that you can get on the open market today. Biaxial, super robust, with a flex tip for performance, you will get a sintered graphite coating with maximum wax resorption. Dynafit was the first boot to ever be awarded the IAS Golden Seal of Approval, and they are a known icon and industry leader across multiple sports gear and accessory industries. The company offers a 14 day, no hassle return policy, and limited manufacturer’s warranty, and Dynafit have had our feet, bodies, and happiness in their hands for quite some time now. Dynafit designs excellent products that are setting industry standards. K2 Skis are know to be some of the best skis in the industry. K2 skis come within one year limited manufacturer’s warranty that covers almost everything. A K2 is a great ski for starters, and it is recommended that if you have to attach a bindings, to attach them 3 to 5 cm forward from the center of this for the best performance. These skis are sidecut 145/118/135 with a Fir Aspen wood core. 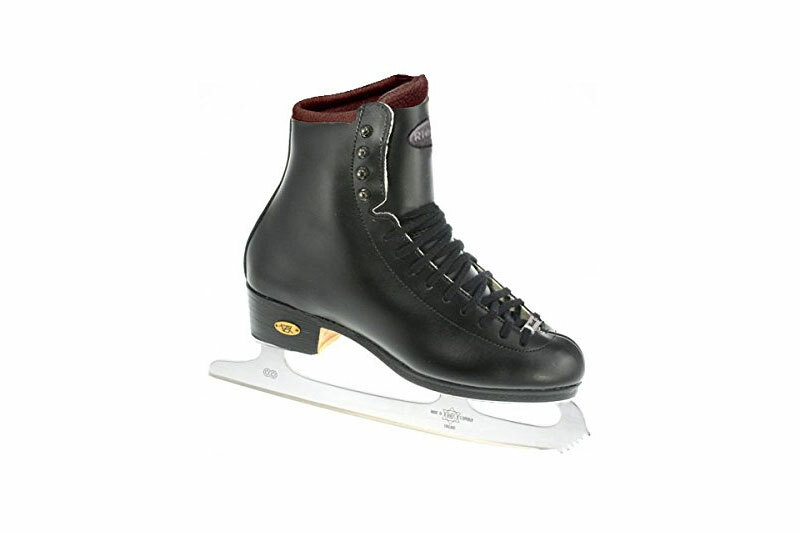 The K2 Konic technology delivers superior performance and control, and the Triaxial Braid and Hybritech Sidewall Construction are sure to keep you smooth sailing on the ice. Tapered tip and tail design are built for speed, and these boots have been featured in reviews across the web as top-of-the-line. 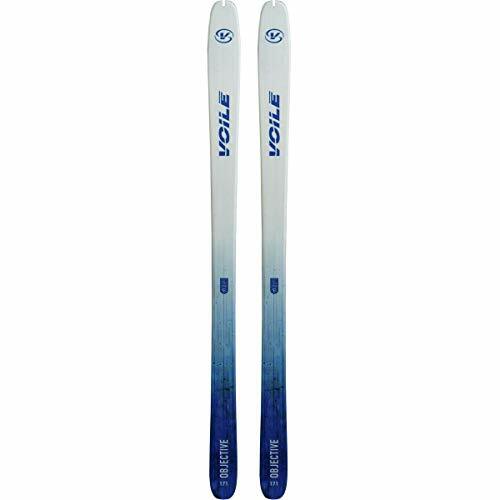 2019 Volkl 100 Eight Women’s Skis come from Volkl, a worldwide manufacturer and respected name brand products in the winter sports gear and accessories industries. Volkl can be traced back to 1923, and if you follow their timeline, Volkl has always held their own in the skiing industry, supplying skis to medalist, companies, and fans worldwide. These are women’s skis, and very attractive ones at that. The 100 Eight Women’s skis are very lightweight and durable, featuring a multi-layer wood core supplemented by carbon stringers, implemented to reduce torsional stiffness. There are also multiple glass layers in the binding area, implemented to increase rebound, and give the skis a personality, or sweet spot. The skis are built to last, and they are considered the absolute top of their class. The Voile Objective Skis are some of the nicest looking skis that are out there. The Objective’s will offer you an excellent turn radius, a nice fast performance, comfort all at the same time. They were built for speed, with an early rise tip, and a camber underfoot for control. The dimensions are 164 cm long, 112/80/97 mm. 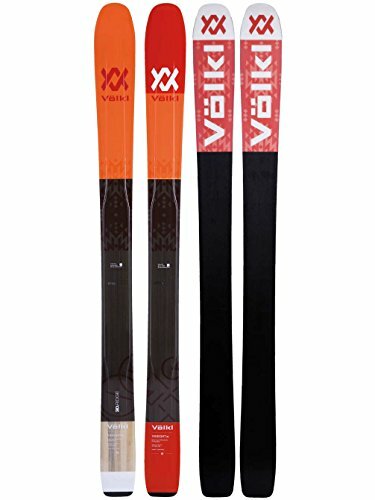 Be the first to review this product, as Voile has over 35 years in experience making skis, and they are a respected name in the ski community. 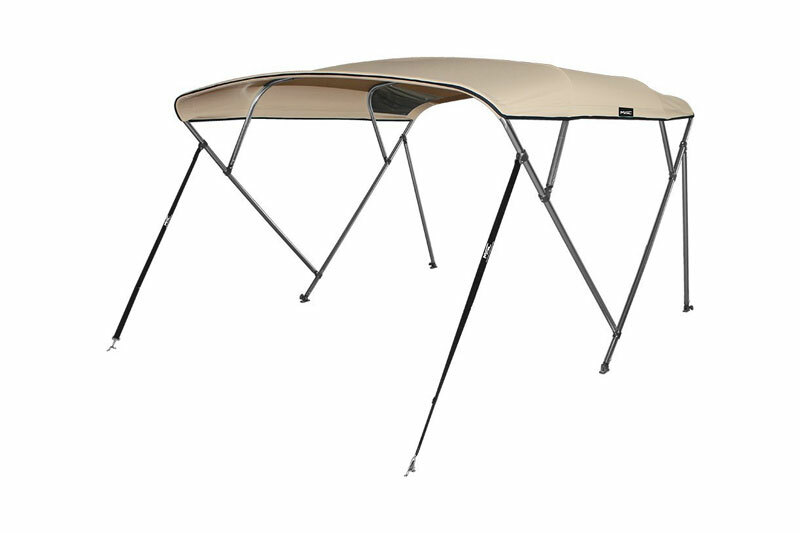 Voile stands behind their products as well, and you can contact them about the warranty via their website. Rossignol skis were iconic by 1937 when Emily Ellias placed in championship race on some of the first Rossignol skis ever made. After that, they gradually became more and more popular. Rossignol eventually grew into a world renown name brand, and are held in very high regard for both the design quality of their products, and the durability of their products. 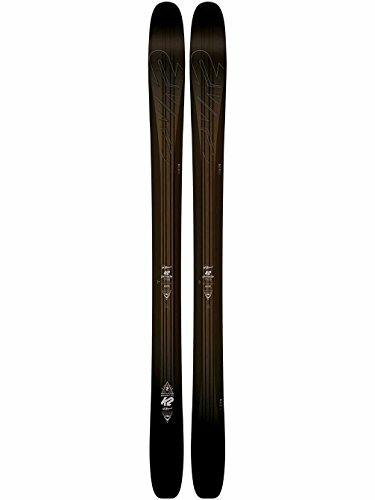 These Experience 75’s are five star rated by previous customers, and they are some of the most attractive skis you’ll see on the open market. With a integrated letter design, these skis are black, gray, and woodgrain. Definitely an attention getter! For the price, they make an excellent conversation piece, and a very tight ski. You get an auto turn rocker, for increased edge control, and a slanted structure with an air tip profile sidecut. This is designed to make you stay afloat and superfast while you’re out there dropping in on who knows what. These skis feature a wood core and fiberglass construction reinforcements. The Experience 75’s are built for durability and backed up by a one year manufacturer’s warranty. The Atomic Nomad Blackeye Ti Skis Are an attractive ski that is built to last. The blue, white, and black design is eye-catching and busy. 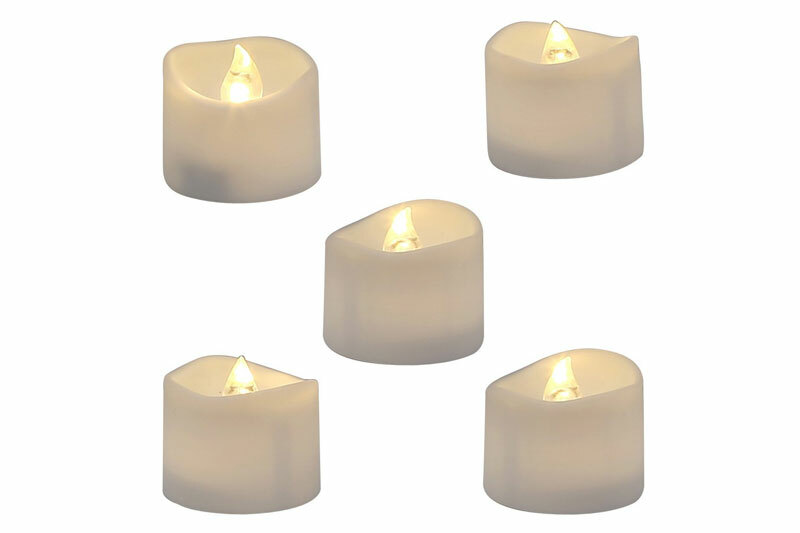 These will look great out on the snow, and they have a five-star rating from previous customers. Price to accommodate almost any budget, these are all mountain rockers from your “sure mountain company”, Rossignol. 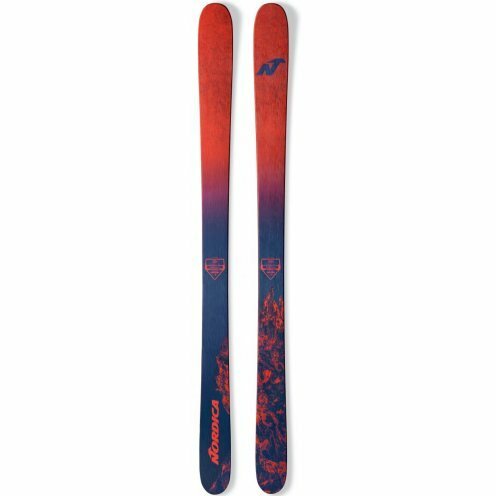 With a step down sidewall 2.0 construction, and a power wood core titanium powered carbon tank mesh, these Atomic Nomad skis are mentioned all across the internet in reviews, videos, and blogs. There’s no way you are getting a bad product from Rossignol, I knew as soon as I read their story, Rossignol is “made”. Here to stay, in other words. Solid. 1 year manufacturers warranty. The 2016 Volkl Mantra Skis (European Edition) w/ Marker Griffon Bindings are yet another amazing ski by Volkl. 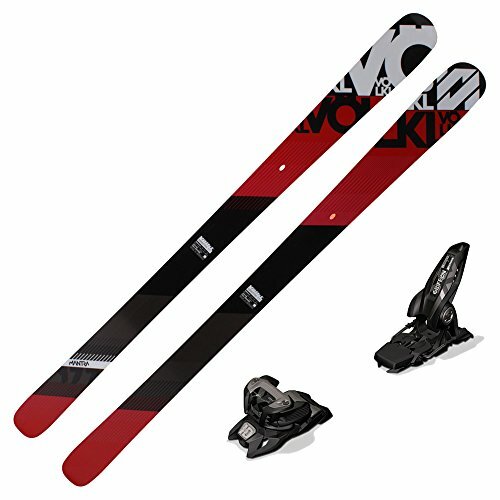 Again, Volkl stands behind their products, is a known icon in their industry, and has been in the business of making top-of-the-line ski products for a while now. 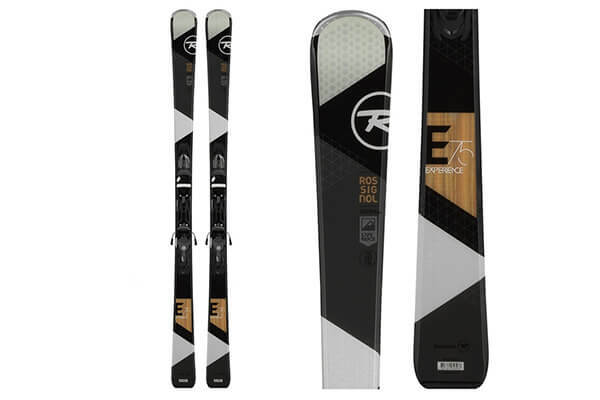 These skis are a limited edition, 2016 telemark ski, and they are five star rated with previous buyers. Black, red, and white design will look magnificent in the snow, and the Mantra skis are deliberately built for performance and speed. The Mantras deliver a multi-layer wood core with a power construction, and the design is powered by titanium. This ski has a sidecut of 132/100/118. Don’t forget to sign up for the manufacturers warranty on the manufacturers website! 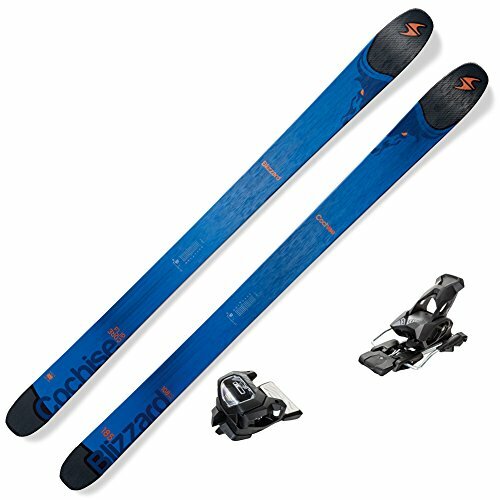 2017 Blizzard Cochise Skis w/ Marker Griffon ID Bindings are a very attractive blue and black ski designed for speed and performance. 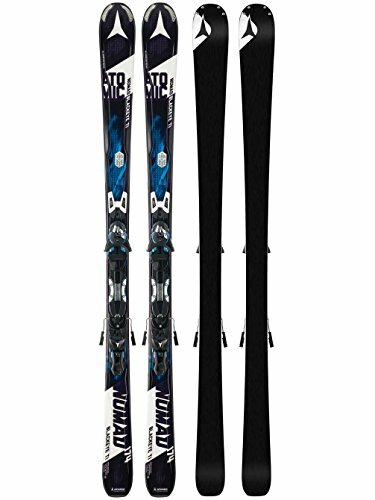 These skis are mad out of Poplar/Bamboo/Paulownia woods, and you have carbon fibers in the rocker tip and tail for superfast skiing and durability. These sidecut skis are 136/108/122, and you will get a sandwich compound sidewall and flip core technology that built for unsurpassed control and maneuverability. Blizzard Sports skis will hold up for a long time, and they are kind of on the high end, but Blizzard Sports is a well-known and highly respected manufacturer in the skiing industry. (So you know you are buying quality) One year manufacturer’s warranty. We firmly believe that any of the skis on the top 10 list above will be a very good deal and a definite top-of-the-line quality product for you. As a matter of fact, we pulled these 10 out of a lineup of about 27 other skis. The 10 that we went with, we went with because of their name brand, their reputation, customer reviews, unanswered questions on sales channel, and the materials used to make them. We also looked at the design and the visual appeal of them. We are leaning a little bit more towards the Rossignol brand than anything else, because to be honest with you. They had the best customer reviews and the highest sales, and they have been around making us smile for a long time. Rossignol also makes very attractive skis, in general. Stay safe out there!